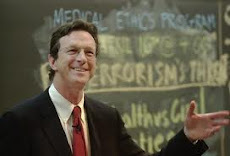 Michael Crichton wrote and directed several films. Which films did he direct, but not write the screenplay? Michael Crichton’s 1972 novel The Terminal Man had a different name originally. What was it? Physical Evidence I believe is the only one. Granted, he didn't receive a screenplay credit on Pursuit, but I believe I've read he had a large hand in writing that.